Do your Facebook and Twitter feeds need a little love? Today I’m welcoming social media strategist Melissa Hebbe to teach you a super simple way to schedule your social media updates in advance. 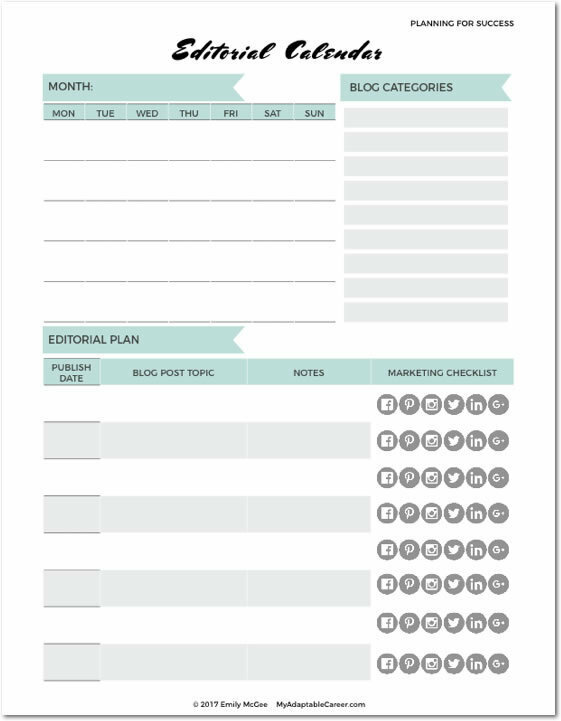 She’s even giving away the exact spreadsheet she uses to schedule her own social media updates, so be sure to grab your free copy! We all know the importance of scheduling out our social media. It keeps our accounts looking active even when we’re checking other tasks off of our to-do list (or, well, sleeping). It allows us to continuously share not only our own content, but other relevant content our audience would find interesting as well. Which leads me to my next point. Most of us have heard about the 80/20 rule. Basically, it’s important to share other people’s content more than your own. Whether or not you believe that, the truth is it is important to be sharing other people’s content — how much is just up to you. But when we’re not planning and scheduling out our social media, it can look like a hot mess. A bunch of tweets all posted at the same time in one day. A Facebook page without any activity all of a sudden has ten new posts up. It doesn’t look authentic. I hear you though. Who has the time to deal with all that social media nonsense? Truth? I do. You do. And so does everybody else. I’ve come up with a foolproof system to getting you to easily not just schedule out, but thoughtfully plan out your social media content for your Facebook page and Twitter account. It comes down to these four main points: lists for your own content, keeping up to date on other relevant content, spreadsheets and scheduling. Having lists of your own content is SO important. I really can’t stress this enough. The easy way to go about making a list is using an Evernote note or a Google Doc. I personally use Evernote. If you are using WordPress, you can connect WordPress and Evernote together so anytime you publish a post on WordPress it creates its own note in an designated Evernote notebook. Use this IFTTT recipe to hook this up. Or you can create your own list with the title of your blog post and the link to it once it is published. Either way, it’s important to write down some pre-written text that can be shared onto Facebook and Twitter. Keep in mind the character limits for Twitter, but don’t make the Facebook post too long either. Don’t forget about your collaborations too! Keep separate lists for people who have guest posted on your blog and a list for where you have guest posted or where you’ve been featured. Create three separate lists. One list for your own content published on your website, one list for guest posts published on your site and another list for your content posted on other people’s site. Then include pre-written text along with any social media handles for each post. Recently, I started using Feedly to keep with the blogs I read and let me tell you, I love it! I’m able to follow blogs not only for myself, but for my clients too. Take a look at this screenshot and you’ll see how I organize my Feedly account. I have a list for blogs I follow, my own blog on a separate list, a category for New Jersey news and a category for real estate and home renovations for one of my clients. I love being able to categorize the blogs I follow because if I want to look at only the content to share on my own social media accounts, I can look at just that. Or if I only want to look at real estate and home renovations for my client, I can look at just that. It makes pulling out content I want to share on social media super easy, especially since I use Buffer. Buffer and Feedly work together and offer a Buffer extension right into Feedly. When I want to schedule a relevant article, all I have to do is click on the extension button. Sign up for your own Feedly account and starting following blogs your audience would find relevant. That way you can easily schedule out content of your peers when it comes times to schedule out your social media. Now you’ve got your bundle of content organized with pre-written text and you’re following relevant accounts on Feedly, but how you can wrap your head around all that content and schedule it out? I’ve been using spreadsheets for a REALLY long time and they are the bee’s knees. I use spreadsheets to plan out my social media content because it visually helps me see how often I’m sharing my own content and other people’s content as well. If you have a launch coming up, it’s also great to plan out in advance what you’ll be posting each day to get people into your launch. Here’s a screenshot of what my spreadsheet looks like for my Twitter and Facebook posts. Color coded and all. While the colors are pretty, what’s really important is the type of content I’m sharing in each designated spot. There are certain posts that I have set on repeat every week like where someone who’s following me on Twitter can also find me on Pinterest and Instagram. Certain content like that stays the same each week, but other content such as blog posts from other bloggers and business owners and new blog post that comes out every Thursday changes each week. Because the content I share varies, having it color coded really helps me visually to distinguish between the different content I’m putting out on social media. That’s why having the all three different lists I talked about earlier as well as keeping with other relevant content via Feedly is important. Because I can just copy and paste pre-written text and links into these designated spots. For the content that gets repeated every week, I just leave there. Prior to creating my scheduling spreadsheet, I make sure I know how many times I am posting content each day as well as when. You can determine what time works best for you by using the Insights for your Facebook page or Analytics for your Twitter account. Once I determine my posting schedule, I create my spreadsheet. I break down the spreadsheet into each day and then each time I will have a scheduled post goes out and then leave a blank space for the Facebook post or Twitter post and the link that will go with that content. From there I use different colors to distinguish between the different type to help visually see what kind of content I’m sharing each week. 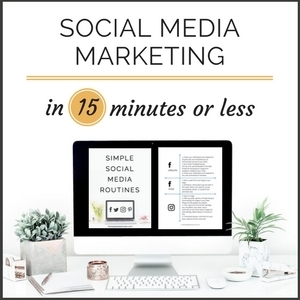 Determine how often you will be posting on each platform and what time. Based on that information, create your own social media scheduling spreadsheet. Or forget making your own and just download this one I made for you! Now, you may be wondering why I even bother creating a spreadsheet to plan out my content when I can just schedule it from the get go using Buffer (my favorite social media scheduling program)? Well, once I create that spreadsheet and add any new content in there, I download the spreadsheet as a CSV file. But, before I download the CSV file, I delete all the other content in the spreadsheet except for the content that will be posted (the post and link). I use Buffer for schedule out my Facebook and Twitter content and it seriously rocks my world. Bulk Buffer rocks my world just as much. Before you upload your CSV file through Bulk Buffer, you should make sure you have your post schedule set up in Buffer. Now, it’s time to get that content scheduled out. Take the CSV file and upload it through Bulk Buffer. Make sure you are uploading to the right account! You don’t want to accidently upload your Twitter posts to your Facebook page and vice versa. By uploading the CSV file through Bulk Buffer, you are automatically scheduling out all of your posts for the social media account you pre-determined. Pretty slick, huh!? Because some of Tweets and Facebook posts have branded imagery, I always scroll through the newly scheduled content and add any necessary images. I also scroll through that new content to make sure everything was uploaded correctly. Create your posting schedule in Buffer. Upload your CSV file through Bulk Buffer and connect it to the social media platform (in this case Twitter or Facebook). Scroll through the new content scheduled on Buffer to make sure all the posts uploaded correctly and add any necessary images. You know how you sometimes see the same Tweet over and over again. Buffer doesn’t allow you to schedule the same post over and over again. You can still share the same link. While Buffer is in the beta testing stage of having a content library of posts that can be continuously shared, right now each post has to differ slightly from one another. Cue in the spreadsheet! It’s like my very own content library. Yes, while I’m sharing some of the same links every day, the pre-written text is different every day. That was a one and done deal! Once the scheduled post has been posted, Buffer does allow you to reuse that post, which is why I’m able to reuse that content when I schedule out my new posts every week. I schedule out my content for the whole week just once a week. Every Wednesday, I schedule out my weekly blog post, so I have the URL to enter in anywhere my social media content spreadsheet says to share my new blog post. It’s also the day I catch up on blog posts. Any posts or articles I think my audience would find relevant and interesting, I add it to the section that says other content. This method has totally changed how I’m able to schedule out an entire week’s worth of social media content for Facebook and Twitter. I know what content I’m sharing and when. Not only that, but I know I’m sharing valuable content with my audience too! Want to get started on scheduling your social media right away? 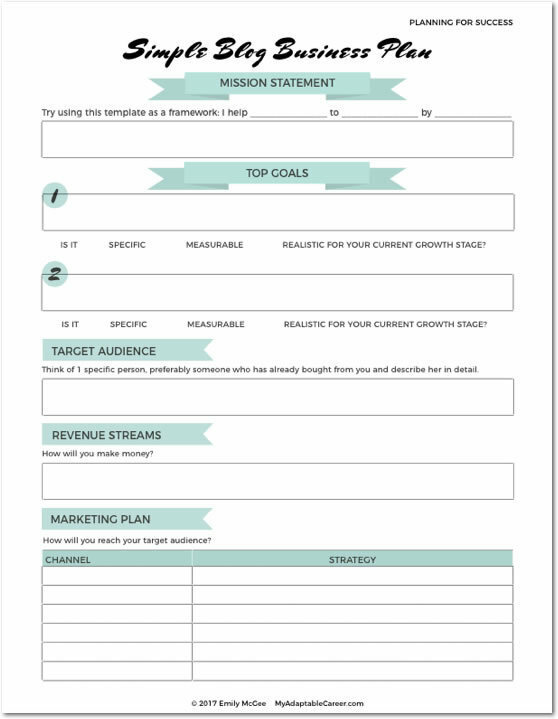 Download this checklist to help you follow along AND premade social media scheduling spreadsheet! Connect with Melissa on Instagram, Pinterest, Facebook, Twitter or Snapchat. I haven’t checked out Socialdraft yet, so thanks for the tip! I love hearing about new tools! I downloaded Melissa’s spreadsheet and instructions, now I need to prioritize a time to get everything set up. Luckily I’ve got a hard deadline in October with a new baby due. 🙂 Better get everything set up and scheduled before then.